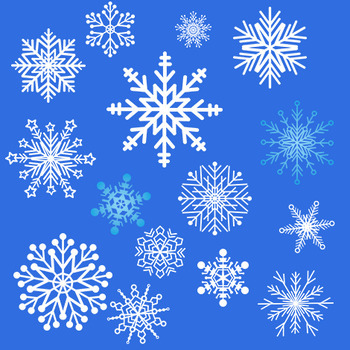 Each snowflake comes in 3 colors: black, blue and white. The images are created for a print size that doesn't exceed 5 X 5 in. You may use the cliparts for personal and commercial uses. The images must be included into a new creation. You may not redistribute or sell the folder or the images "as is".